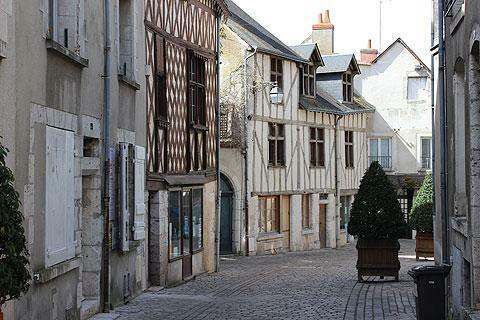 The town of Blois is found between Tours and Orleans in the Loire Valley. 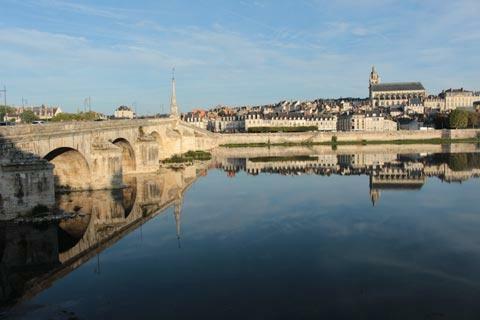 In recognition of the number of interesting monuments and the well preserved town centre Blois is a listed French 'Ville d'Art et Histoire' and has also been classified as a protected Historic Town in France. France This Way comment: Blois is one of our favourite towns in the Loire Valley and an unmissable highlight of your visit: the town is one of the most interesting in the region, and has an impressive centre with several historic monuments as well as the renowned Chateau de Blois in the centre of the town. 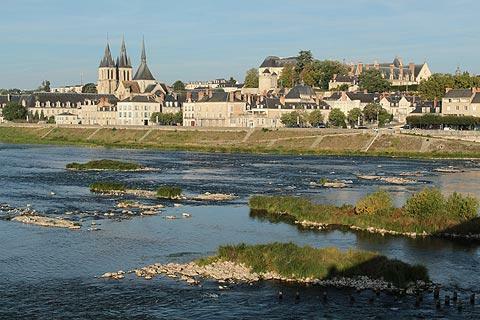 Before starting to explore the centre of the town we suggest you cross the bridge in the town centre and walk a short distance along the river banks on the other side. 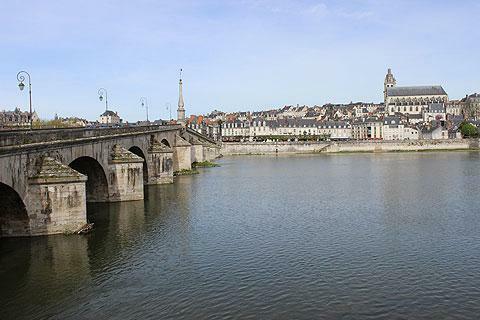 This long stone bridge in Blois, the Pont Jacques Gabriel, dates from the 18th century. The view from here across the town is very lovely, and also helps you get a sense of where each of the main monuments in the town is situated. 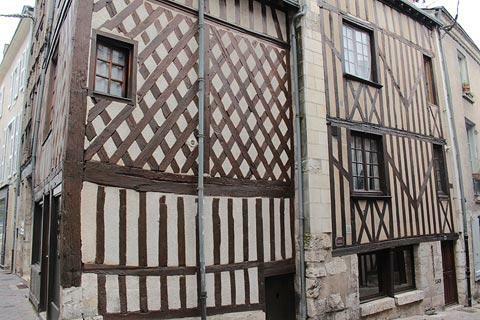 To help you there is an information board that highlights each of the principal monuments in Blois. 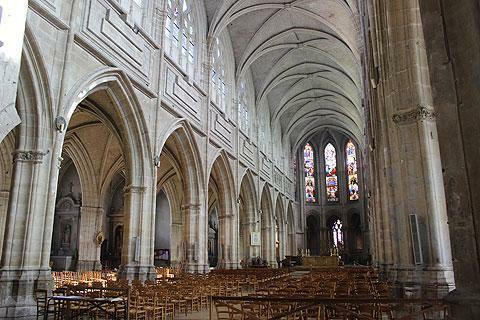 Before returning to the north side of the river you can visit the Church of Saint-Saturnin, one of the oldest churches in Blois, as well as the aitre of Saint-Saturnin: the aître is one of just a few cemeteries in France surrounded by galleries and is now the Lapidary Museum (with historic carved stones) for the town. The north end of the bridge is a good starting point to explore the town. 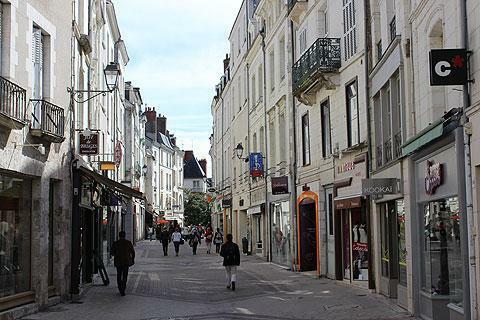 From here you can simply follow the streets as they meander, climb and clamber through the centre, admiring the protected historical buildings as you go, stopping of course for refreshments at a street side cafe along the route. 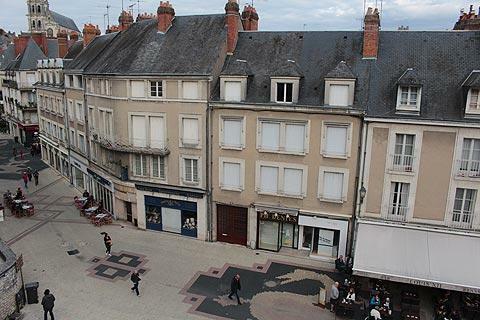 The main medieval centre in Blois is in the Rue des Trois Marchands (the western part of Blois) with the Church of Saint-Nicolas to the south and the castle to the north. 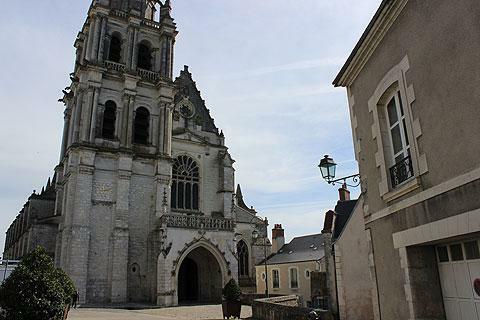 This church is one of the most interesting in Blois and close to the Church of Saint-Nicolas you can also visit the Musee de la Resistance, dedicated to the resistance movement in the region during the Second World War. 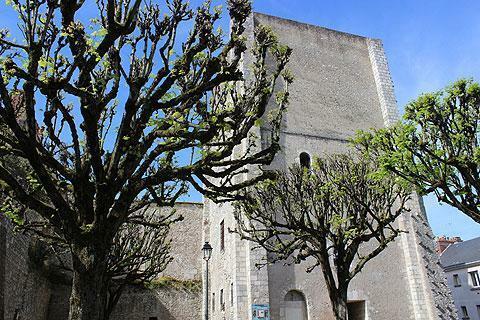 Climb the hill and from the large square in front of the castle (the Place du Chateau!) you have nice views across the town and river. 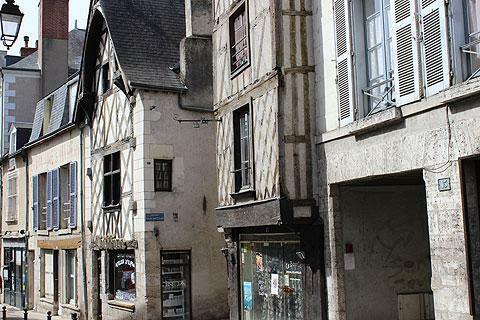 You can also find the Blois Tourist Office here and the Maison de la Magie, a popular attraction where you can learn about magic and see items that were used by Robert-Houdin and other magicians, as well as two popular restaurants. If you follow the street next to the Tourist Ofice around the side of the castle you reach two more notable sights. 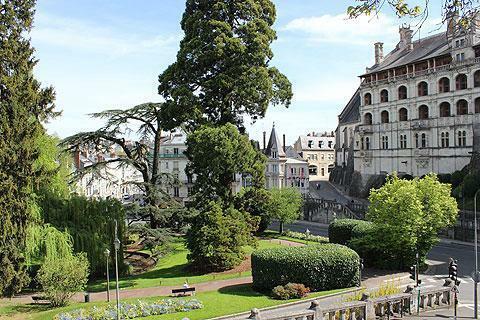 The Church of Saint-Vincent is a baroque style church, and the large gardens behind the castle are also a peaceful place for a stroll and also have views across the town and castle. 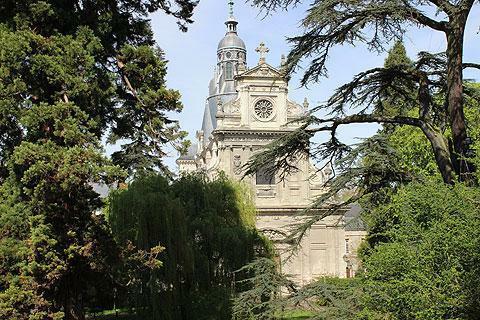 Although the monuments around the castle are the most visited in Blois, we do recommend you also find the time to visit the region around the Cathedral of Saint-Louis, where you can also see Town Hall and its carefully maintained gardens and the Halle aux Grains. In the cathedral there are some very impreeive contemporary stained glass windows. Again, the views across the town rooftops and river are a large part of the attraction. 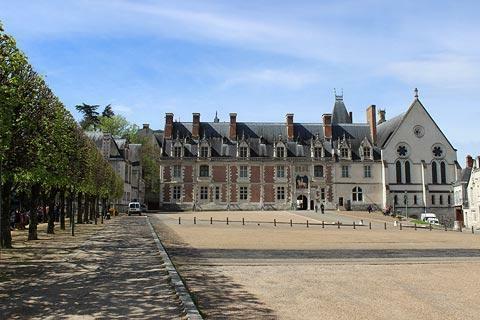 The Château de Blois, a Renaissance château once occupied by King Louis XII, is in the center of Blois and is one of the most historically important castles of France. 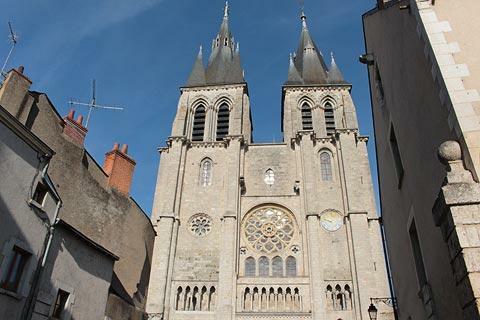 The castle was home to several French kings, and was also the place where Joan of Arc went in 1429 to be blessed by the Archbishop of Reims before she departed with her army to drive the English from Orléans during the Hundred Years War. The chateau comprises several parts and wings, added as each owner tried to improve on the version before. The Chateau that we now see was therefore built over the course of several hundred years, from the 13th to the 17th centuries. The most renowned architecture in the Chateau de Blois is the spiral staircase, found in the François I wing. The castle was neglected for much of the 17th-18th centuries, then ransacked in the Revolution, and narrowly managed to avoid demolition. 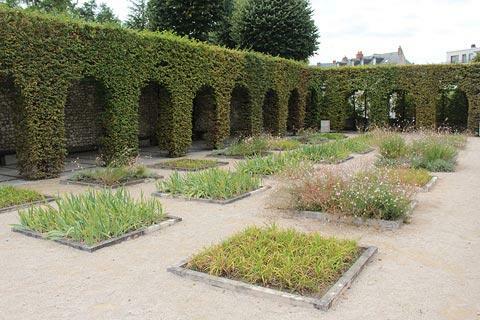 The improvement in its fortunes began in 1841 when it was made a National Monument, and it has now been restored. 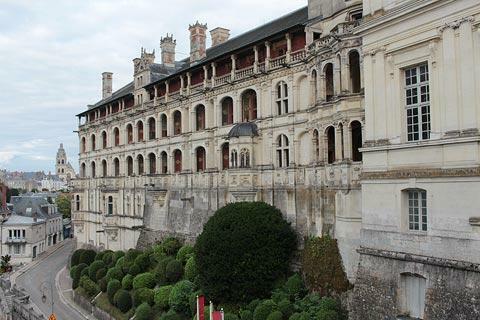 For more information see Chateau de Blois. A short distance north of the town centre on Rue de la Paix the Fondation du Doute features various contemporary artworks and interactive art exhibits. 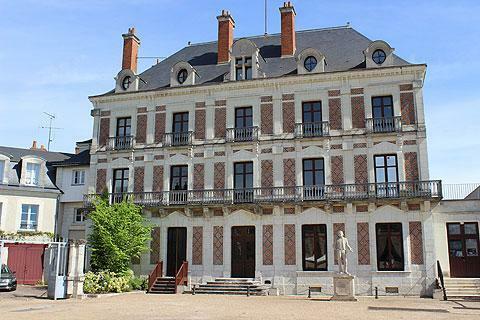 Near to Blois there are various pleasant woodlands and forests, including the Foret de Blois, the Parc de Chambord and the Foret de Boulogne. 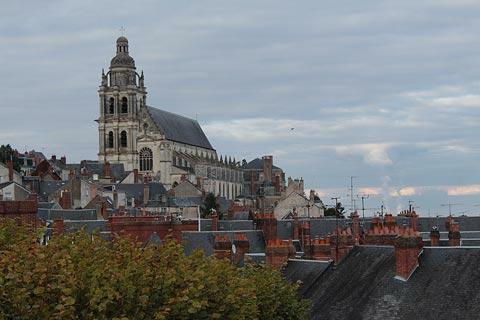 To the east of Blois you can visit two of the most important castles in the Loire Valley: the Chateau de Chambord, the largest and most visited castle in the region, and the Chateau de Cheverny, a more recent castle and with the most beautiful interiors in the region.